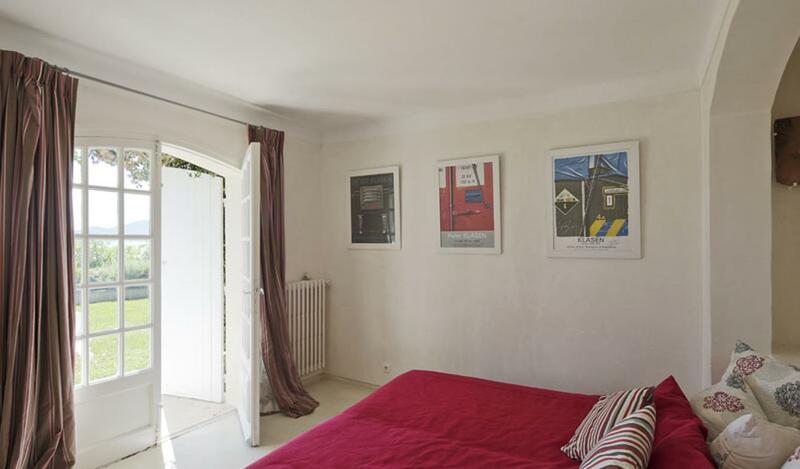 Only 15 minutes from St Tropez, between plane trees and a lovely garden, it is with a great surprise that we discover this fabulous property, a tastefully renovated house. Providing 7 bedrooms and 6 bathrooms for the guests, the house invites them to relax. Indeed, you will have the pleasure to stay confortably in one of the 3 terraces, to eat, read, talk and enjoy a sunbath with your friends or family, or both!For the most contemplative guest, make a few steps and enjoy a delicious nap in the wooden plateform that looks down on the cliff dropping sheer to the sea, settled along the path that lead to the beach.This facing south house with a view on the Levant Islands, is located in seafront with private access, provides a infinite pool, in a green and peacefull place.